I decided to write a blog post about SCD products available in Ireland (and the UK) as I thought it may be useful for those following the Specific Carbohydrate Diet. Starting this diet can be so daunting and hopefully this list will make it a little easier for you to source some of the items you need. Just because something is listed here and is SCD-legal doesn’t mean that you can tolerate it. Even within the list of allowable SCD foods, each person is unique and tolerates things differently. If you are trying something for the first time, as always introduce a little amount at first to see how your body reacts. Many of the foods listed below could be seen as advanced SCD foods but are great, convenient snack options for when you start to see some progress. I am not affiliated with any of the products below and am not receiving commission for this post. All of the foods are simply listed because they are SCD-legal foods which I enjoyed. Beetroot crips: by Joe’s farm crisps. These are available at my local farmer’s market and are available in a few health stores and cafe’s around Cork. Avoid the other vegetable crisps made my Joe’s farm crisps as parsnip is not SCD-legal. Ape Crispy Coconut Curls: These are available in many supervalu stores in Ireland. Go with caution though, as these would be quite an advanced food. 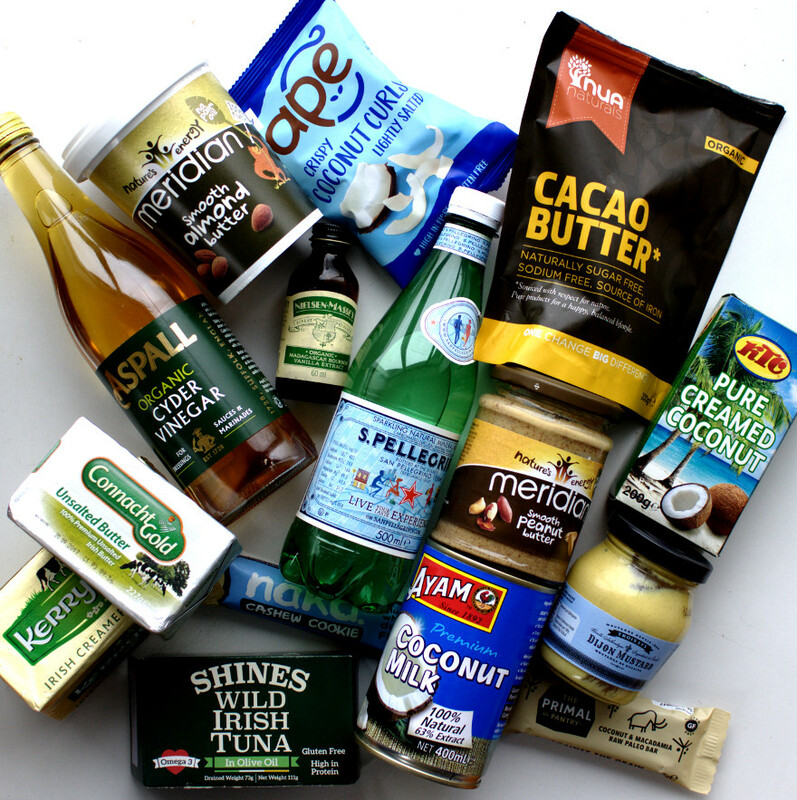 Shines Wild Irish Tuna: The only ingredients are: tuna, olive oil and salt. Available in selected Dunnes stores. Don Simon Grape Juice: This is 100% juice with nothing else added. It can be useful for making the intro diet gelatin. For drinking, it should be diluted with water slightly. Available in selected Dunnes stores. Kerrygold “real” butter: Be aware of anything called a “spread” and run a mile! Available in all supermarkets. Nobó dairy-free ice-cream: Only the vanilla, passion fruit and lemon flavours are SCD-legal. Available in health stores and most Supervalu stores. Nak’d bars: Only some flavours are SCD-legal: cashew cookie, pecan pie and ginger bread. Available in most health stores and many supermarkets. Primal pantry bars: Only the coconut and macadamia flavour is SCD-legal. Available in some health stores. Stocked by Holland and Barrett. The Happy Pear green basil pesto: Available in selected Supervalu stores. Maille Dijon Mustard: This is great for making salad dressings and delicious sauces. It does contain a preservative: potassium metabisulphite but my research on this has told me that’s it’s an SCD-legal additive. As always, moderation is important. Available in most supermarkets. Aspall Organic Apple Cyder Vinegar: This is a very useful ingredients for salad dressings and marinades as well. I’ve read that Bragg’s Apple Cider Vinegar is not SCD-legal due to the presence of “the mother”. While being very healthy, the presence of “the mother” can cause tummy upset for someone with IBD. I have found this to be true so the Aspall organic one is a good substitute. Nielsen-Massey Organic Vanilla Extract: This is something I use nearly every time I bake. Be careful as the non-organic version of the same brand is not SCD-legal as it contains sugar. Pip n’ Nut Almond Butter Sachets : These are so handy to bring if you are travelling or going on a picnic rather than having to bring the whole jar of almond butter. They also do a peanut butter sachet which is SCD-legal but the coconut and almond butter flavour is not as it contains agave syrup. Available in selected dunnes stores or online through Amazon. Meridian peanut and almond butters: My favourite brand along with Pip N’ Nut. They do a handy 1kg almond butter which I always buy as I eat so much of this stuff. Available in most health stores and supermarkets. Be aware of new flavours e.g. the coconut one that are not SCD-legal. Ayam Coconut milk and coconut cream: These are very high quality products and the only ones I have found in Ireland without any additives or gums. The ingredients are literally: coconut and water. Available in Cork from Mr. Bells either in the English market or from their warehouse in Togher. Soul Bia’s Boringly good almond milk: This is a great new store that delivery all over Ireland with a great selection of products. Their almond milk is additive-free, SCD legal and tastes delicious. Of course you can make your own but it’s nice to treat yourself every now and then. Sadie’s Kitchen Bone Broth: This is a great product and albeit it a little pricey is so handy to have at home. You can freeze it and use it in soups and stews. It is really difficult to find a stock option with no additives and one that uses free range chicken. Big thumbs up! Pellegrino sparkling water: Try this with some ice-cubes and a slice of fresh lime. You can almost convince yourself you’re having a cocktail! This is also a good mixer for an occasional SCD-legal alcoholic drink. Nua Naturals Cacao Butter: This is an amazing product and with it you can make some pretty tasty treats. Check out the recipes for my white chocolate and almond butter cups or my white chocolate biscuit cakes. Always read the label for hidden illegals as companies can often change their ingredients. I find I eat best and feel the best when I am eating fresh, real food that doesn’t come in any packet. That said, we all need a little convenience sometimes especially with the amount of cooking we need to do being on SCD. Even though, I adore cooking, spending time with my family comes first and the last thing I want to do is spend every waking moment slaving in the kitchen. So, although I can make my own nut butters, almond milk, snacks and ice-creams sometimes I’ll take the easy option. It’s nice to have the choice! I hope you find this list of SCD products available in Ireland (and the UK) useful. Hi. I’ve actually printed your list to take with me before I went shopping today. Very handy. Hopefully with all these new info & products, my third attempt at SCD will be a success. Many thanks – I’ve just found your information having recently been diagnosed with UC and starting the SCD. Great reference point as limited info on where to purchase food. Very interesting and really appreciated! I assumed that Braggs ACV was legal but your info is a good lesson on checking out the labels!